When King Solomon died, his son, Rehoboam, succeeded him. 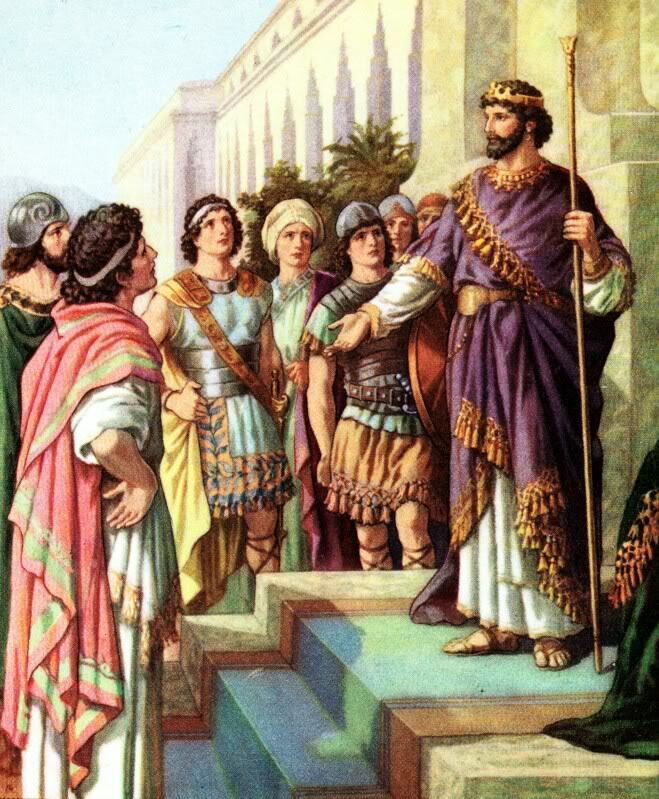 Trying to decide what kind of king he ought to be, Rehoboam first sought advice from his father’s counselors. They gave him good advice. Ease up on taxes, Solomon’s many building programs having pretty much depleted the nation’s wealth. “If thou wilt be a servant unto this people this day, and wilt serve them, and answer them, and speak good words to them, then they will be thy servants forever” (1 Kings 12:7). But Rehoboam “forsook the counsel of the old men… and consulted with the young men that were grown up with him” (v. 8). Yes, he took the young men’s advice instead; and when the tribes of Israel came together to hear him, he laid out his program–every bit as daft as today’s Democrats’ “Green New Deal.” Here’s what he said. “My father made your yoke heavy, and I will add to your yoke: my father also chastised you with whips, but I will chastise you with scorpions [whips with metal blades]” (v. 14). Heavier taxes, more penalties. Yeah, that’ll work. And that was the end of the Kingdom of Israel as known to David and Solomon. Ten of the tribes revolted against the new king and founded another kingdom under Solomon’s former servant, Jeroboam. Israel would not be one nation again until our own time, some 3,000 years later. Let us pray that the arrogance and folly of some of our own leaders doesn’t do the same to the United States. Their counsels need to be rejected and defeated. God grant us the wisdom and the strength to do that.